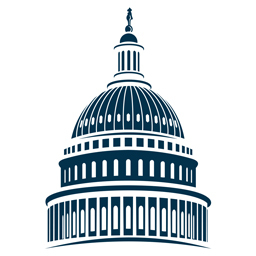 Miller Strategies, LLC is a full-service government relations firm dedicated to effective strategy and advocacy, and uniquely positioned to help clients navigate the complexities of the Administration and Congress. Our Associates have decades of combined experience and deep relationships in the most senior levels of the Administration and Congress – offering clients exclusive and incomparable policy and political insight. From proactive policy advocacy, to regulatory influence, to shaping legislation, Miller Strategies’ professionals build and execute principal-focused strategies on behalf of some of the world’s largest companies in diverse industries. “Many of the most important lawmakers in America trust Jeff Miller for the same reason that PhRMA is grateful to have him on speed dial: He’s extremely intelligent, completely trustworthy, and persistent and persuasive in advancing policy solutions. Jeff’s political skills and reputation for being reliable and honest in communicating information to decision makers makes him extraordinarily effective. Miller consistently exceeds our high expectations and delivers meaningful results in the right way." "Miller Strategies is by far one of the hardest working, most well respected and successful firms in D.C. In just a short time, they have built an amazing track record of success with our company. Whenever we need help, we know we can turn to them. They are incredibly responsive and always provide insightful and wise counsel on the most effective and efficient ways to resolve the most complex and difficult issues." © 2018 MILLER STRATEGIES. All rights reserved.